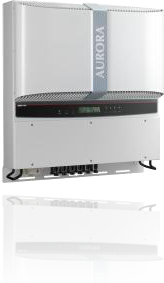 With its focus on Renewable Energy, Power-One has recently introduced the second largest supplier in the world of solar inverters. Moreover, as one of the ten largest world providers of power conversion and power management solutions, Power-One is one of the few companies with the breadth of products to support every step in improving the utility quality AC to various DC voltages required for energy infrastructure systems of high availability. The converters have superior features and performance, while offering easy installation and reliability.